Remember the cheese cream stew I shared last week using The Laughing Cow cheddar cheese slices? 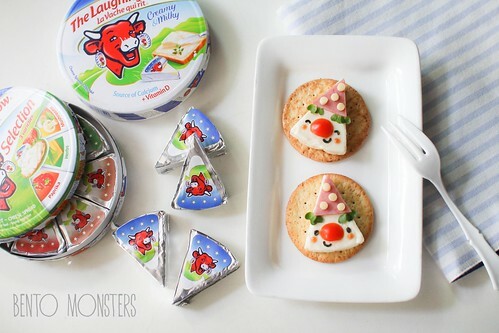 I'm going to share another recipe using The Laughing Cow products again today, this time using their triangular cheese wedges. 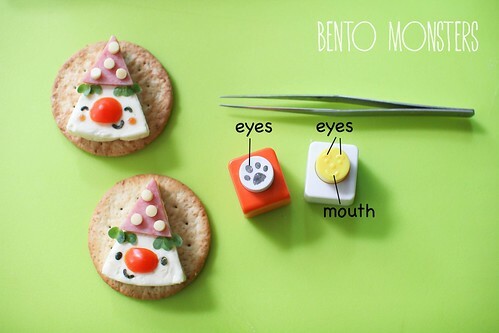 I used the cheese wedges to create this pair of clowns for my boys' snacks. I've taken step-by-step photos to create this pair of clowns and I will explain how to craft this later in this post. 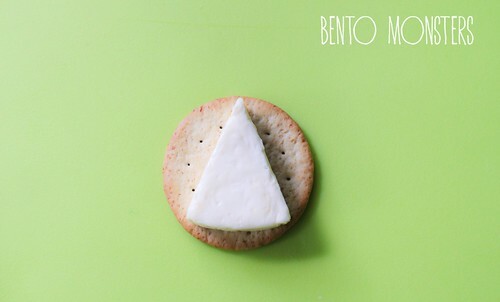 The two cheese products I used were the triangular cheese wedges and the cheese slices. 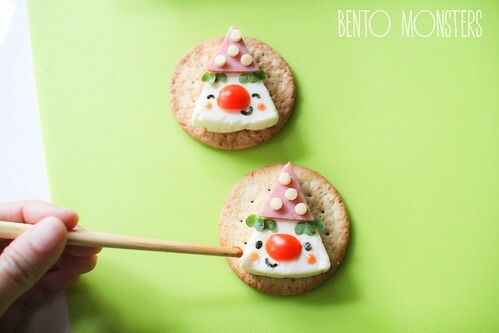 The cheese slices were used for the polka dots details on the clown's hats. 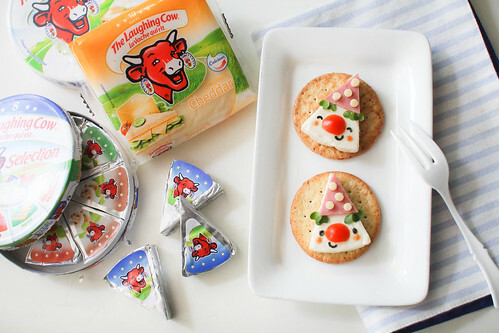 If you would like to try out this recipe, you can head over to all leading supermarkets such as NTUC Fairprice, Giant, Cold Storage and Sheng Siong, as they are running special offer - You can get 3 boxes of The Laughing Cow 8 Portion Cheese or 3 packets of cheese slices at $8.95 only! In addition, you can also participate in their “Dream Big with The Laughing Cow” contest to win $500. 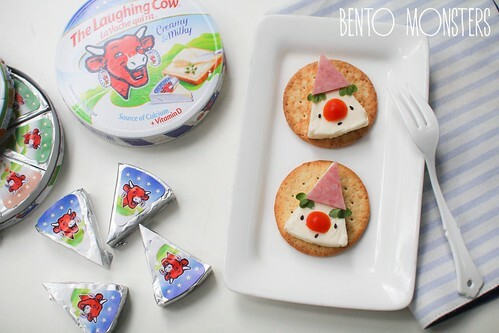 Simply purchase SG$10.00 worth of any The Laughing Cow products in a single receipt for a chance to win. You can also increase your chances of winning by making multiple purchases and submit multiple entries too. Campaign will end on 31st May 2015. Now, I'll go though the steps to create the clown. 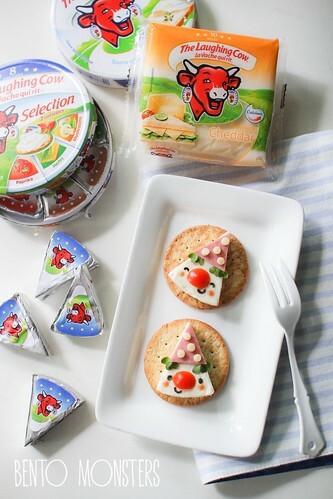 First, unwrap the The Laughing Cow cheese wedge and place it on a cracker. This step is optional, you can serve the cheese on its own if you prefer. 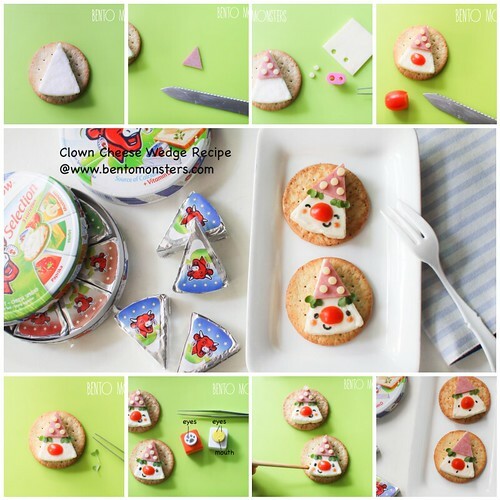 The cheese is very yummy on its own too but we think it tastes even better with cracker. 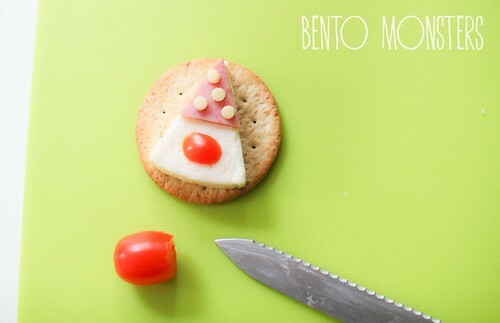 Using a knife, cut out a triangle from ham for the clown's hat. 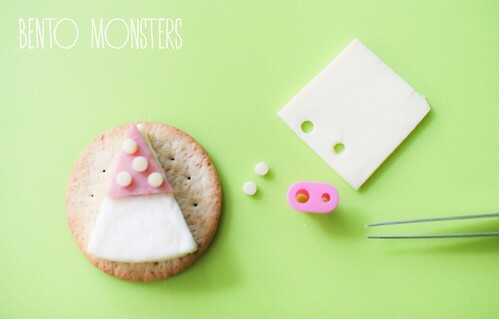 Using a round cutter or a straw, cut out circles from The Laughing Cow cheese slice. 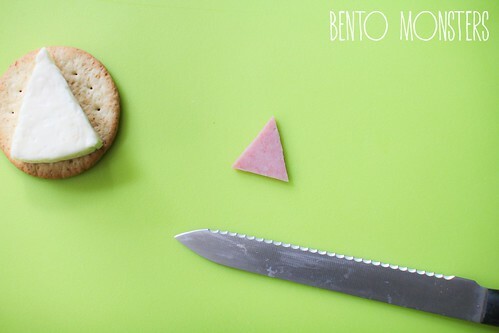 Using a pair of tweezers, place the circles cut-outs on the ham. 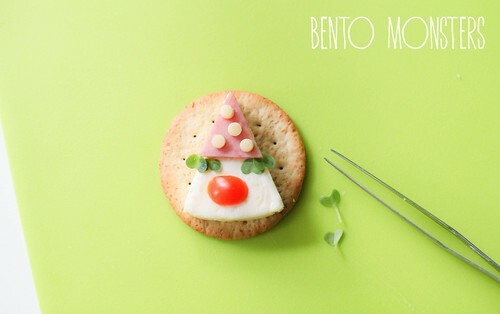 Using a knife, slice off tip of cherry tomato for the clown's nose. Add on pea sprouts for the clown's hair. Alternatively, you can also substitute pea sprouts with broccoli, parsley, etc. I used these two nori punch to cut out nori for the clown's eyes and mouth. Lastly, dab on some ketchup. 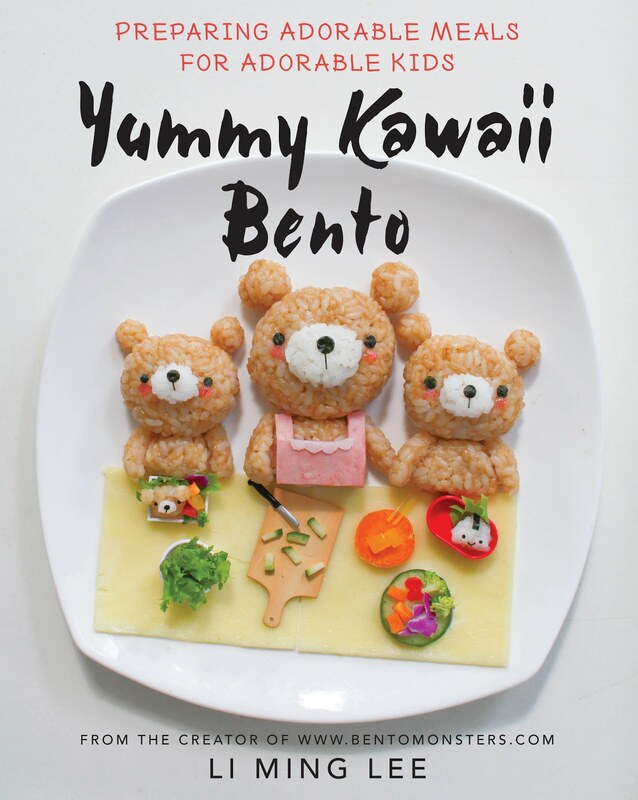 This is so cute and very creative! Thanks for sharing the tutorial! I love this little cute clown! !